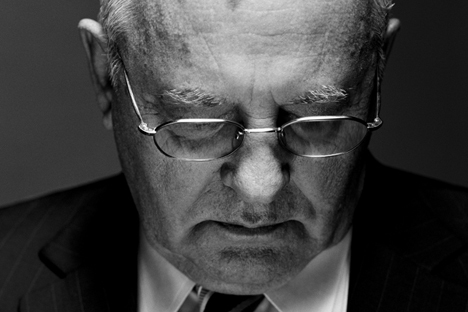 Former Soviet President Mikhail Gorbachev views the proposal by a number of State Duma deputies that a statement be made to denounce the annexation of East Germany by West Germany as "nonsense." Former Soviet President Mikhail Gorbachev views the proposal by a number of State Duma deputies that a statement be made to denounce the 'annexation' of East Germany by West Germany as "nonsense." "You can't make judgments about what happened in another era, 25 years ago, from current-day conditions. What referendum could have been held while hundreds of thousands of people rallied both in the GDR [the German Democratic Republic, or East Germany] and the FRG [the Federal Republic of Germany, or West Germany], the only motto being 'We are one nation!'? After all, no one denied this, and this can't be denied, and therefore it never even occurred to anyone that a referendum should have been held," Gorbachev told Interfax on Jan. 28. "What kind of an annexation was it? Nobody is talking about this. It stands to reason that Divided Heaven [Der geteilte Himmel by the East German author Christa Wolf] was the most popular book in Germany at the time. It's about Germany. So the proposal [on denouncing East Germany's annexation by West Germany] is simply nonsense," he said. "I'll tell you once again: It's wrong to simplify the situation and make judgments about the past based on the current day and current views," he said. The State Duma international affairs committee had made it clear earlier on Jan. 28 that it was willing to promptly discuss the appropriateness of drawing up a statement denouncing East Germany's annexation by West Germany in 1989. Svetlana Zhurova of the United Russia faction, first deputy head of the Duma international affairs committee, told Interfax earlier in the day that committee head Alexei Pushkov, as well as a lot of other committee members, were attending a Parliamentary Assembly of the Council of Europe (PACE) winter session in Strasbourg. At the same time, the committee procedural rules make it possible to arrange a debate on the matter through interviews, she said. Zhurova pointed out that the committee was not supposed to draft a statement denouncing the annexation of East Germany but to consider whether such a statement would be appropriate at the present time. If the Duma decides to draw up such a statement, this would require a more sophisticated procedure, including negotiations between all Duma factions, she said. The author of the idea, Nikolai Ivanov of the Communist Party faction, believes that the drafting of such a statement is "not a spur-of-the-moment matter," although "it would be wrong to keep silent about this." Ivanov said he was preparing background information on the matter for the international affairs committee, including the fact that, before becoming part of the Federal Republic of Germany, the German Democratic Republic had been recognized by 131 countries. Ivanov also pointed out to the fact that the so-called "free elections" that actually decided East Germany's fate in 1990 were held on March 18, that is, on the same date when Crimea became part of Russia in 2014. Speaking at a Duma session earlier on Jan. 28, Ivanov proposed, as a retaliatory step to PACE's criticism of Russia, that the Duma international affairs committee draw up a statement condemning the German Democratic Republic's "annexation" by the Federal Republic of Germany in 1989, "especially considering that, unlike Crimea, no nationwide referendum was held in the GDR." In response to this proposal, Naryshkin suggested that the Duma international affairs committee "consider it and report to me."